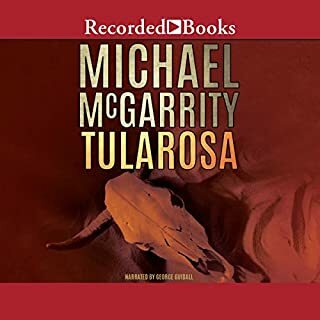 In this ninth installment in the award-winning and New York Times best-selling Walt Longmire mystery series, the Wyoming sheriff follows his cowboy code of ethics in a religious range war that strikes a little too close to home. ...but this is it. 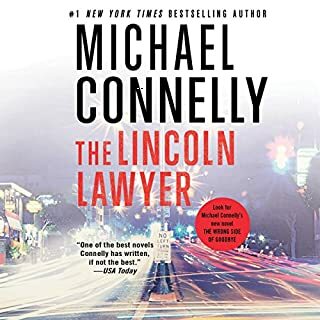 I read this book because, as a fan of this series, I have eagerly awaited the release of this newest book ever since I finished reading the other eight a few months ago. Walt Longmire is an incredibly likable character. He is humble, brave, self-deprecating, sensible, and fallible, all while managing to be a salt-of-the-earth kind of charming. The supporting characters draw the reader in even further, each with his or her well-developed role, strengths, and flaws. The culture of Wyoming and the American West gives great flavor and lets this be a learning experience (I'm an east-coaster) at the same time. And then there is the story. Twists, turns, action, romance, mystery, balanced with well-written dialogue and the sturdy cast of characters -- it's a page-turner that will make you laugh, cry, and cling to the edge of your seat. If that weren't enough, let's layer on the fantastic narrator, who does an incredible job of bringing the characters and the emotion and pace of the story to life. It is truly incredible how remarkably consistent he is with the different voices. Even if you haven't read the other books in the series, you could start here. If you don't love this book, I wouldn't bother reading more of them -- but if you do love it, you are in for a treat. There are eight more!! 2. The plot has numerous unexpected twists and turns with quite a surprise ending. 3. Johnson's wit is abundant. 4. The novel begins with the Sheriff's patient conversation with a charming old lady talking about angels who fix up her house and visit her daily and grows into a complex story that involves corrupt corporations, a polygamy-practicing fundamentalist Mormon sect, an old man who believes he is a 200 year old historical figure, Mexican oil criminals and murder too close to work. 5. Finally, George Guidall is superb . A Wonderful Introduction to Walt Longmire! After a few disappointments, I had become wary of trying new (to me) authors and series. 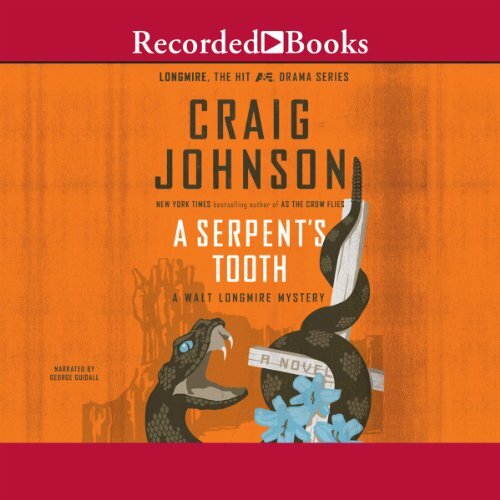 However, when I saw "A Serpent's Tooth" on sale as the daily deal, I decided to give it a try and see if I agreed with all those wonderful reviews of Walt Longmire I had seen on Audible. I do agree with those reviews -- from the very beginning of the first chapter, I was intrigued by the characters, both major and minor, contained in the story. From County Sheriff Walt Longmire and his under-Sheriff Vic(toria) Moretti, his friend Henry Standing Bear (also known as "the Cherokee Nation") to a sweet little old lady who says angels come to her house and make needed home repairs and another woman who runs the general mercantile in Short Drop, WY, Craig Johnson's characters are three dimensional and very human, with quirks and wit galore. In addition to wonderful characters, the plot is great. Starting with the appearance of a "lost boy" from a polygamous fundamentalist Mormon sect that has set up a compound (make that a fortress) on 12,000 acres of land in Walt's county, and developing into the murder of one of Walt's Deputies and attempted murder of another, the story line carries you along right to the final battle without ever letting your interest flag. George Guidall's narration puts the finishing touch on a perfect package. His voice, with a natually deep timbre, brings Walt to brilliant life as a native Westerner, and then softens just enough to provide truly believable female voices. And his delivery of quirky or witty pronouncements is perfect. All in all, this book was a wonderful experience. Now I will go back and begin the series with Book 1 so that I can experience this series with all the backstory from one book to the next. Highly recommended. George Guidall is Walt Longmire. This is classic Longmire, with the characters you really like, some sad losses, a win you've hoped for, great historical research, interesting side characters and really bad bad guys. The only downside is that if you've never read a Longmire novel, don't start here. There's an arc and you really need to read them in order. Wonderful Walt and the Gang! Love these books! The dry humor is laugh out loud funny and the stories are always captivating and original. In this ninth addition to the series, two separate stories run parallel, the first of which has to do with a Mormon Ranch that is being run more like an occult. The second surrounds a smooth talking stranger that is supposedly drilling a well on the ranch. 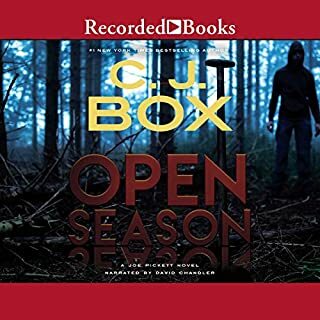 Walt knows that there is something sneaky going on, so when he gets two seperate reports of missing persons, and one very "odd" report of a home repairing Angel, he and the gang are off to the races in an exciting, fast paced investigation. Many great developed sideline characters and of course the unequalled main cast. Never a disappointment with any of Craig Johnson's, Longmire series. As always Guidalls narration is perfect and it just would not be as good without him. Highly recommend. ...I'm a little bit in love with Walt Longmire. I just want to make this clear up front. The Serpent's Tooth is the latest (9th) in the Longmire series and it is excellent. I really enjoy Johnson's imagination and his wry sense of humor and he is a skilled storyteller. He also does a wonderful job of presenting both characters and places so that the reader feels "present" for both. Sheriff Walt Longmire is, of course, the heart of the story which has Walt trying to deal with a fundamentalist Mormon cult which has invaded his county and is causing a variety of serious difficulties. Johnson has written a great plot in this one. The story begins with Walt in an interview with an old woman who has angels in her house and ends with a hard tug at the readers heart, but in between Johnson pulls in murder and mayhem, love and loss and laughter and the usual cast of Craig Johnson's brilliant characters and ties them together with "can't stop reading" intensity. It may be my favorite of this series so far. George Guidall does an outstanding job of narration giving depth and individuality to each character. 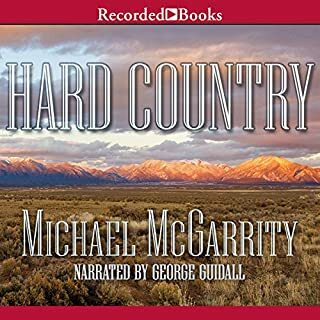 Even when I am reading a Longmire book (rather than listening) I can still "hear" Walt, Henry, Vic, Double-tough and all the other characters of Absaroka County, Wyoming in Guidall's voices. 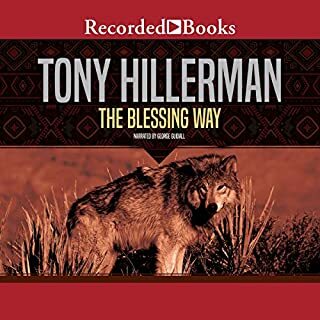 You don't need to have read any of the others in the series to enjoy this book (although you may be briefly confused when Walt refers to other characters by odd nicknames such as referring to his best friend Henry as "The Cheyenne Nation.") You will also not understand what he's talking about when he refers to events from previous books, but I don't think that will hinder your enjoyment. And if you like this novel, you're lucky, because there are eight more and I predict you'll be anxious to start at the beginning. The Longmire book series just keep getting better; makes me want to visit Wyoming and ride a horse. One of the GREATEST in the series! What made the experience of listening to A Serpent's Tooth the most enjoyable? The beginning had great humor. I loved Vic, Walt's Under-Sheriff. The action in the middle. But the ending was unexpected and cannot wait for the next book. So Mr. Johnson keep writing. What other book might you compare A Serpent's Tooth to and why? The Rembrant by Daniel Silva. The same romance, humor and action along with unexpected ending. Oh he bring Walt Longmire to life. He makes you wish you could be right along with Walt. Loved the series and I hope Craig Johnson and George Guidall keep the books comming. 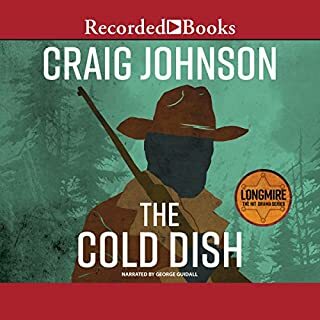 Craig Johnson does a good job of bringing interesting characters to life in his stories, and in this one, Owen Porter Rockwell is brought back to life, or possibly never died in the first place (no plot spoilers). The narration is tremendous, and all the usual characters are in place and ready for action. There is a fair amount of personal drama as well and some of it is left to be resolved in the next installment of the series, which is okay and even necessary to some extent. There is an exciting set of villains to pit Walt against and he needs (and gets) help from some surprising places and from some expected ones. I do love this series, and look forward to every novel in it, I have yet to be disappointed.